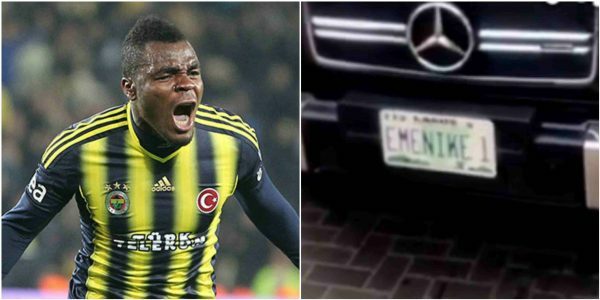 Former Super Eagles footballer Emmanuel Emenike assaults baby in a car during an altercation with a woman in his Lekki Estate in Lagos. According to the woman, Emenike went berserk and smashed the woman’s moms car glass in while the baby was seated inside. The woman, identified as Victoria, and her sister had gone to Chevy View Estate for house hunting. Trouble, however, started when they were leaving. It was gathered that, due to Victoria’s unfamiliarity with the terrain, she took a route meant for cars entering the estate, thus obstructing people. However, when she and her sister were trying to resolve the issue with the estate’s security guards, footballer Emenike alighted from his car and started banging on their car to move out of the way. He later reportedly went ahead to break their car glass, without regard to the baby inside the car. After breaking the glass, he was quoted as saying: “I’m Emmanuel Emenike. I live here.” and left.